H.R. Giger, celebrated artist and creator of all our nightmares, passed away late yesterday from injuries he sustained from a fall in his home. He was 74 years old but he will now be immortal. Most people know Giger from his work on creating the insanely terrifying xenomorph in the Aliens trilogy of films. He also did a huge amount of work on the doomed Dune adaptation that Alejandro Jodorowsky tried so hard to make during the 70s. 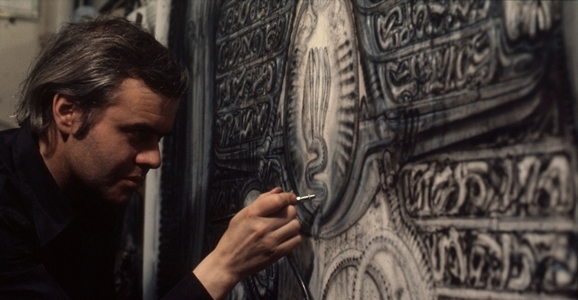 Giger was also a hugely influential artist and sculpture. Despite having a difficult time working with Hollywood, he earned an Academy Award in Visual Effects for his startling, groundbreaking work on Ridley Scott's Alien. From album covers to frightening and oddly sexual paintings, Giger now has a place in the public consciousness. His work is unsettling, beautiful and scary all at once. It taps into this primitive afraid-of-the-dark remnants in our psyche. The xenomorph wasn't just scary, it was oddly thrilling and beautiful. The worlds he created were bizarre and fantastical and horrific. into just even the prototype was enough to rob any sane person of a night's sleep. It looks ready to leap up and tear you to pieces. His paintings are equally as visceral and you can almost feel the humid heat of an exhaust or hear the unnatural slither of alien creatures when you look at them. There are even H.R. 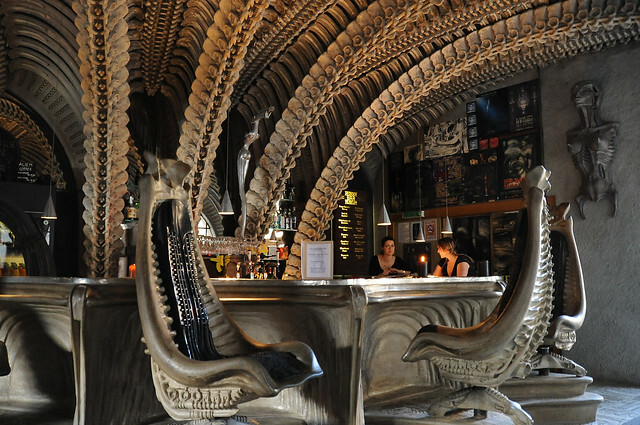 Giger bars in Switzerland that he lent his style to that look like nightclubs from Hell. I've always been fascinated with his artwork. How could you not look at one of those paintings and want to know more? Unfortunately, since I am a giant wimp when it comes to scary movies, I haven't seen any of the Alien films. Thankfully, pop cultural has already filmed me in on the glorious xenomorph and it's one of my favorite movie creatures. Yes, I am terrible at life, thanks for asking. With Giger's passing, maybe I'll dredge up the courage to sit down (with the lights on) and watch Alien. Thankfully, Giger's art will live on and I hope he is resting contentedly in the afterlife of his choice knowing that his work is going to give people nightmares for years to come.